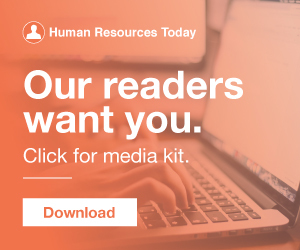 24, 2019 – HRO Today , a leading publication in the human resources industry and producer of the HRO Today Forum events, and PeopleScout, a leading global provider of talent solutions, have announced the launch of the first annual HRO Today “Most Admired Employer Brand Awards” in North America. In the past year, Delta Air Lines was named: Most On-Time Global Airline by Flight Global Most Innovative Companies Worldwide by Fast Company One of Fortune magazine’s Most Admired Companies for the fifth consecutive year In the first half of 2018, Delta’s net promoter score (NPS) was 43.9%, up 187% from its 2010 score (15.3%) ( Inc.com ). Extra bonus points for evaluating your full employment experience from awareness to alumni. It has been two weeks since Human Resource Executive magazine’s annual HR Technology Conference (HR Tech), one of the most well-attended and talked about HR events of the year. 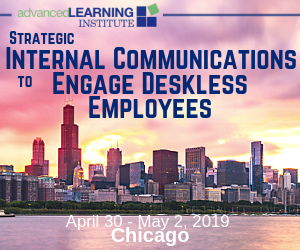 The conference brings together the best minds in technology, as well as the HR and talent acquisition leaders who use their innovations to drive business results. Several sessions I attended focused on how talent acquisition elevated their employer brands by utilizing marketing tactics. As I said at Cielo’s Talent Rising Summit in London, talent marketing could and should be simple. It has never been simpler to define your proposition and how it will connect with talent. But if we ‘know’ these fundamental employer branding practices, yet fail to deliver on them, it only serves to highlight the gap between knowing better and doing better – between the leaders and the laggards. The talent tells us as much. Focus on a Singular Brand Story. Saratoga Springs, NY and San Mateo, CA – Chequed.com, the leading provider of cloud-based Predictive Talent Selection ™ technology, and Jobvite, the comprehensive recruiting solution for the world’s fastest-growing companies, today congratulated GroupM Asia Pacific (GroupM APAC) on being selected as the Grand Winner at Human Resource magazine’s inaugural Asia Recruitment Awards. Jobvite is the leading recruiting platform for modern business. Just as branding — both personal and professional — is essential to marketing or sales, it's increasingly crucial for HR. With relatively low unemployment rates at 5 percent , employers also need to craft a compelling brand in order to attract the most qualified candidates. If you are looking for a great way to attract new, quality talent, consider the branding technique known as brand ambassadors. Here are key recruiting technologies that differentiate the best from the rest. Which social networks do jobseekers and recruiters frequent? Tune in as the Entelo podcast team chats with many of the industry's foremost thought leaders, innovators, entrepreneurs and practitioners about the state of recruiting technology. Matt Charney is the Executive Editor and Partner at Recruiting Daily, where he oversees editorial and industry coverage, partnerships and content strategy. Elliott grew up in a family of recruiters and started sourcing when he was 16. Jeremy Ryder | Talent Acquisition Manager, Trek Bikes. His high regard for this educational approach and his advice on how to approach a job search with a liberal arts degree are not only encouraging but will serve students and recruiters alike and improve their odds for success. Earlier in his career, George served as a staff writer or editor for The Wall Street Journal, Fast Company magazine and Bloomberg View. These recruiters carry out a company-wide hiring strategy that can be implemented at scale. But there are some other, more subtle differences between how people acquire talent now versus a decade ago. Before social media and the internet, a person looking to expand their team had to hope that a qualified professional saw their job posting in the local newspaper or a trade magazine. Otherwise, we, as recruiters and also employers are missing a huge opportunity: the chance to employ the brightest minds – those who can drive revenue, build great products and services and are eager to take advantage of this growing marketplace. Branding meets procedure. Summary: “Recruiting Reinvented: Improve your social strategy with best practices and data-driven outcomes”. 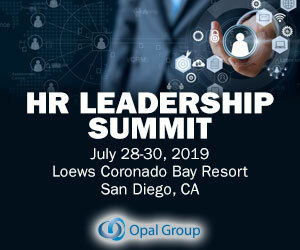 Who Should Attend: The conference that emphasizes “next practices” — rather than best practices — is designed for senior HR, talent, learning and diversity leaders. Attracting top talent. This is what top talent says you should consider in order to attract them. With so many channels available to prospective talent, it’s difficult to know which one to concentrate on or what recruitment strategy to use. Host of recruitment events.